This impressive Champagne is made solely from Chardonnay grapes. The nose reveals a creamy note of lemon meringue, white peach and blanched almonds. The palate is so soft and the mousse so fine and creamy. There’s a natural richness of creamy Chardonnay that is evident and a fleshy full bodied finish. This is the most elegant of the three Rothschild Champagnes. This Champagne is the result of a collaboration between all three branches of the Rothschild families; Domaine Barons de Rothschild (Lafite), Baron Phillippe de Rothschild (Mouton) and Baron Edmond de Rothschild. 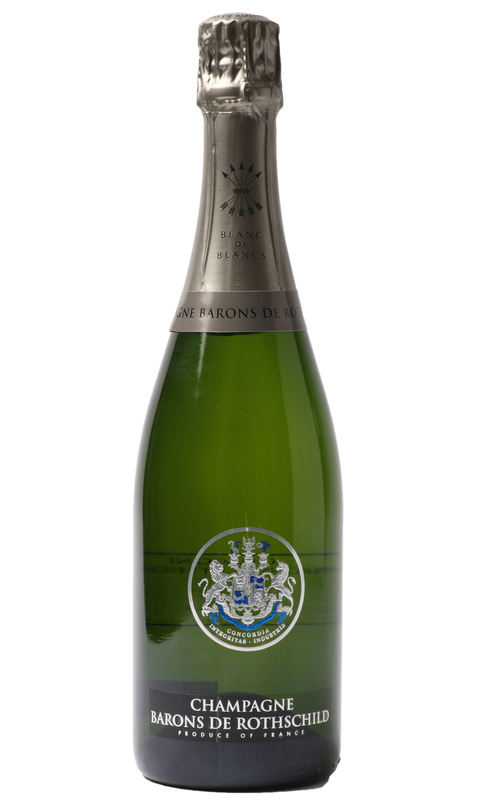 The resulting Blanc de Blanc Champagne provide a gorgeous fluffy mouth feel with creamy white fruit.